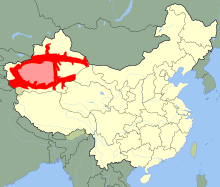 ↑ "Uyghur language outlawed in schools of the Uyghur Autonomous Region". Language Log. 2017-08-01.